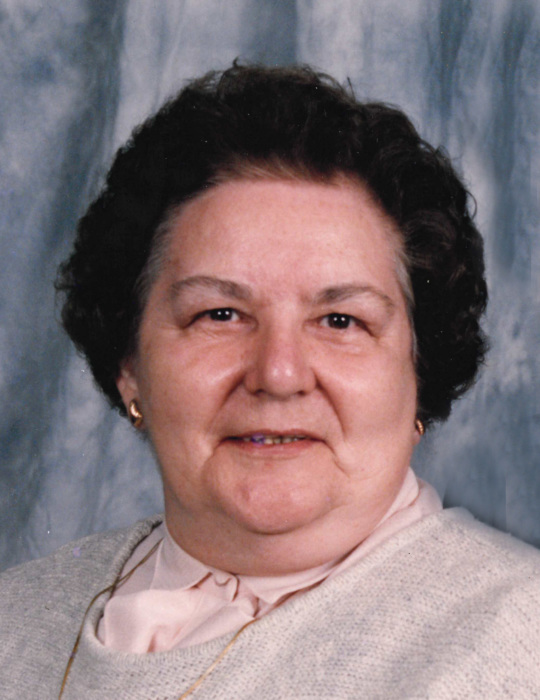 Helga Urias, 94, of Newton, died on Wednesday, March 27, 2019, at Glen Oaks Alzheimer’s Special Care Center in Urbandale where she had lived for the last six years. A funeral mass will be held at 11:00 a.m., Saturday, April 13, 2019, at Sacred Heart Catholic Church. Burial will follow at Sacred Heart Catholic Cemetery. The family will greet friends following the burial with a lunch at the Wallace Family Funeral Home and Crematory. Memorials to the Young Women’s Resource Center in Des Moines may be left at the church the day of the service or at the funeral home. Helga, the daughter of Julius and Anna (Krug) Frank, was born on August 27, 1924 in Germany. She grew up and graduated from high school in Germany. On August 23, 1947, after a year of hard work getting the proper permissions, Helga was united in marriage with Emigdio “Mickey” Urias, a United States soldier stationed in Germany. Helga then began her voyage by boat to America. After reuniting, Helga and Mickey lived briefly in Fort Lee, Virginia. When Mickey was called to be stationed in Korea in 1951, Helga moved to Newton, Iowa to live with his family. After his return in 1952, they decided to build a house and make Newton their permanent home. Helga was a busy homemaker, raising the couple’s two daughters and planning summer vacations filled with many great memories. She was also an active member of the Sacred Heart Catholic Church. Helga enjoyed square dancing, gardening and canning, sewing, baking, and watching sports. She was also known for her competitive spirit and liked winning in a board game or game of cards. Helga is survived by her two daughters, Alinda (Harry) Hakanson of Tucson, Arizona and Nancy (Jon) Turner of Des Moines; grandchildren, Tanya (Dan) Miller of Iowa City and Sophia Turner of Des Moines; her three great-grandchildren, Anthony and Andrew Miller and Aniah Mitchell; brother-in-law, Joe (Lucy) Urias; sisters-in-law, Mary Jean Urias and Helgard Frank; and her many nieces and nephews including niece, Waltraud Wild of Germany. She was preceded in death by her parents; husband, Mickey in 1995; and eight siblings.